This is a no nonsense guide to the Cape Cod National Seashore Park. You’ll find really useful information to plan and visit one of the most unique natural habitats in New England. The National Seashore area has many of the best beaches on the eastern seaboard. Within the boundaries of Cape Cod National Seashore are amazing ecosystem that support fertile salt marshes, swamps, and freshwater ponds. You’ll also discover many trails and hikes that’ll just take your breath away. I lived less than two miles from the Cape Cod National Seashore boundaries for two years, and took every opportunity to explore not only its popular jewels, but its hidden gems. I’m going to cover a selection of both for you in this article. The Cape Cod National Seashore is a 4,308-acre park set aside by an act of congress in 1961 to preserve and protect a unique geological area and wild life habitat of New England. Within the park boundaries are 40-miles of continuous protected beaches… the longest stretch in New England’s 6,540-miles of coastline. Before we start our tour of the Cape Cod National Seashore let’s talk a bit about how it all came to be. Because, while congress established the park in 1961, it was really formed thousands of years ago. So let’s go back in geological time, about one million years, to the great Ice Age. This is a time when all of New England was covered by huge glaciers. As the ice got thicker it begun to move under its own massive weight. As it moved it took huge rocks and boulders with it and deposited them south. The mountains to the north began to be sculptured by the glaciers as they moved. Then the ice would ebb and flow, each time altering the landscape until about 12-18,000-years ago when it receded for good. At this last juncture it left a huge glacial lake where most of Cape Cod and Islands are now. At this time sea levels were very different, being about 400 foot lower than where they are now. Well, because of other features and material surrounding the glacial lake, the water drained out exposing the sediment and deposits left by the glaciers from earlier times. With the rising sea level and the protection from the battering ocean provided by Georges Bank gone, nature started to reshape the whole of Cape Cod. The Cape Cod National Seashore landscape you see today is still under construction by nature. In fact it won’t ever be finished until Cape Cod is no longer around and succumbs completely to the inevitable forces that shaped it originally. Okay, you’re back in present time once again, and ready to explore. But if this is a subject that greatly interests you, then be sure to stop by the Cape Cod National Seashore Salt Pond Visitor Center in Eastham. They show a film on the geology of Cape Cod, and provide much more information than I’m able to here. The Cape Cod National Seashore Salt Pond Visitor Center in Eastham should be your first stop in the area. It’ll orientate you to the park, and provides short films, a museum, and free maps for hiking and biking trails. Starting from the visitor center is the short 1-mile loop Nauset Marsh Trail that follows a path around the salt pond and Nauset Marsh before returning to the visitor center. It’s a varied terrain of salt marsh grasses, juniper and bayberry bushes, and a great place for bird watching due to the proximity of the marsh. The salt pond is a glacial kettle pond that was once a freshwater but the ocean has seeped through. The visitor center also has the Buttonbush trail, which is 1/4-mile multi-sensory loop trail. After your stop at the Cape Cod National Seashore Salt Pond head back south to Orleans, and catch a few hours at one of my favorite Cape Cod National Seashore beaches – Nauset Beach. Nauset beach is one of the pearls in the Cape Cod National Seashore Park. Maybe it’s because I lived in Orleans and I got used to long walks on this beautiful beach with my wife, and two Golden Retrievers, in the changing seasons on the Cape. We’d regularly spend close to two hours walking along the beach south towards Chatham, and meeting many other people with dogs on winter walks. In the late afternoon sometimes we’d make out the seals riding the waves close to shore. The entrance to Nauset beach is located in East Orleans at the end of Beach Road, where there’s a large parking lot. The lot is about 2 miles from Routes 6/6A. During the summer months you’ll pay to use the lot. The beach faces the Atlantic Ocean. The winter storms are a tremendous powerful force to see and brutal on the landscape, as each year the sand cliffs and bluffs take a beating, and give up more sand to the spits out in the ocean. Protection is the name of the game at Nauset not just for the dunes, but the birds nesting in the spring. Always pay close attention to beach erosion and bird nesting protection signs anywhere during your Cape Cod vacations. Heeding the signs means the area could still be here next time you visit. At the entrance to the beach you can turn left and walk North, or take the South walk by turning right. Both walks offer spectacular views and hidden areas of the Cape even many residents haven’t discovered. Time your walks to be at low tide so you’ll be walking on exposed sand bars on the North walk, or have a dry crossing to Pochet Island on the South walk. In the summer Nauset beach is very popular with Cape Cod vacationers, but there always seems to be room even at the busiest times. Swimming is good – but stay close to the shore. And remember it’s the Atlantic Ocean so it’ll be a little cooler than on the Bay side or the Nantucket Sound beaches. The beach walking and the smells and sounds of the ocean will make this one of the highlights of your Cape Cod National Seashore visit. Just up on Route 6 in Eastham about 1-mile after the Orleans rotary on the right but before the Salt Pond Visitor Center is the Fort Hill area. The Fort Hill Trail’s 1.5 mile loop has spectacular views of Nauset Marsh, and the Red Maple Swamp trail goes through the heart of the marsh over a boardwalk. Together these make up about an hour’s walk but they’re well worth the time and effort. This is a prime salt marsh ecosystem on Cape Cod National Seashore property. You can not only experience the rare scenic beauty of the nature trails, but also view first hand a complex ecosystem sustaining an abundance of marsh life. Gazing over the area it’s hard to believe that it was once farmland. 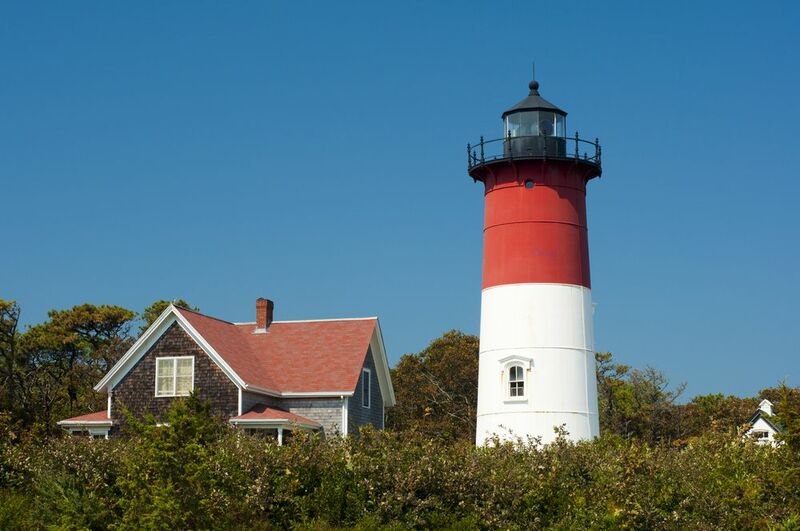 Two wonderful beaches to visit in the Eastham area of the Cape Cod National Seashore are Coast Guard Beach and Nauset Light Beach. Coast Guard Beach can be reached by bike from the bike trail from the Salt Pond Visitor Center, or by car from Nauset Road off Route 6 directly after the Visitor Center – just follow the signs to the lot on Doane Road. This beach is a favorite walk of mine at low tide, and was the area where Henry Beston wrote The Outermost House. Sadly the blizzard of 1978 washed the cottage where he lived while writing the book – out to sea. Yet another example of the awesome forces continually sculpturing the Cape Cod National Seashore. Nauset Light Beach can be reached from Brackett Road also off Route 6, and then Cable Road and Ocean View Drive. The parking lot is small and fills up quickly in the summer. Close by the beach is Nauset Lighthouse. Originally built in Chatham in the late 19th century, it was moved here shortly after, and moved again in 1996 when erosion of the cliff threatened to collapse the lighthouse. The beach is popular for the imposing and towering cliffs and clean white-sand, and walks that get you away from the crowds. The Marconi Station area is about 6 miles north of the Cape Cod National Seashore Salt Pond Visitor Center off Route 6. In addition to the historic buildings of Marconi’s wireless station still left, you’ll also find Marconi Beach and LeCount Hollow Beach in the area, and access to the start of the Atlantic White Cedar Swamp Trail. Allow an hour or two to visit the station and walk the amazing swamp trail. At the station you’ll be able to see sweeping and majestic views of both Cape Cod Bay and the Atlantic Ocean in one spot. This is because the Cape at this point is its narrowest. The Atlantic White Cedar Swamp Trail is a 1.5-mile loop over a boardwalk and through the dense cover of the swamp itself. At times you’ll have to pinch yourself to believe this is Cape Cod National Seashore and you’re in a real swamp. The Marconi beach offers steep cliffs and dramatic dunes as a backdrop to a popular and protected swimming area. The Great Island hike in Wellfleet is a 6-mile hike, so allow yourself at least half-a-day to explore this wonderful area. Located on the Cape Cod Bay side of the Cape in Wellfleet, drive to the trailhead off Chequesset Neck Road, and prepare yourself – and camera – for an exhilarating hike. The area is pretty open and so be sure to take sunscreen and a hat. Marvelous views of Wellfleet Harbor and Cape Cod Bay await you once on the island (hint: it’s not really an island anymore). Another hint: this a real nature hike. There’s no sandwich bar or coke machine waiting for you at the end, so take your own snacks and drinks. Of all the trails in the Cape Cod National Seashore Park, this is perhaps the most remote – and I find that a bonus! Out on the Island itself there used to be a secluded Tavern used by Whalers and the like. Nothing remains of it today except for a sign to mark the spot where it was. But as you stand in this remote place, you can almost hear the lost stories, and feel the mystery that surrounded this Tavern so many years ago… and now gone. The visitor center in the Cape Cod National Seashore Province Lands is off Route 6 and on Race Point Road. Whenever I travel up from Truro towards the Province Lands area and Provincetown, I’m amazed at the amount of encroachment by the sand on the major highway. The Highway crews are always battling with nature to keep the road clear. As you can see from the map Province Lands covers a large area. The Visitor Center itself has an observation deck where you can view the majestic surroundings of ocean, forest, and of course the omnipresent dunes. The area includes two swimming beaches – Race Point and Herring Cove – a bike trail, and a walking trail. There’s also a beautiful lighthouse at Race Point. The bike trail is a challenging 5.25-mile loop that you can start from the visitor center. I’d describe it as undulating bordering on hilly. There’s also a fair amount of hairpin turns, and so helmets and a safe speed are a must. Believe me the downhill stretches are so exhilarating, but you can easily forget and misjudge bike traffic coming the other way. Another not-to-be-missed walk in this Cape Cod National Seashore area is the Beech Forest Trail. This is a 1-mile loop around a freshwater pond and through Beech trees, sheep laurel and birch trees. 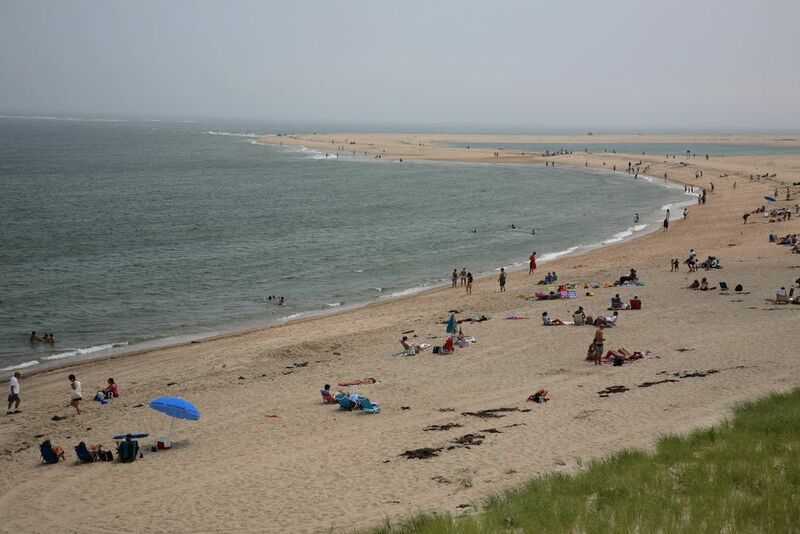 Finish off your trip to this last stage of the Cape Cod National Seashore by visiting Provincetown. The hub area is around MacMillan Wharf, but the show is Commercial Street after sundown. You’re best parking in a lot in the West End of town or on the outskirts. Don’t worry, it’s only a short walk to anywhere wherever you park. It’s okay I haven’t lost my marbles – just yet. 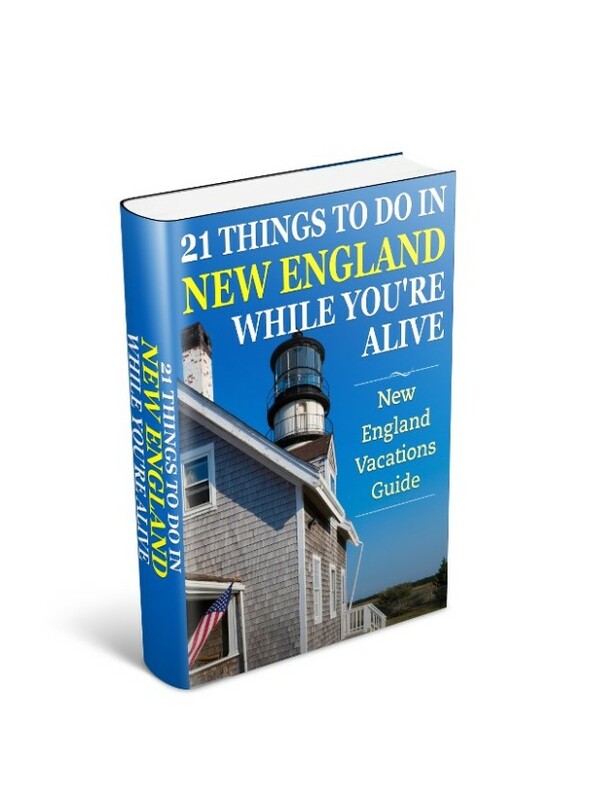 I just want to share an exciting thing to do when visiting any of the Cape Cod National Seashore beaches. Because these beaches are away from most light pollution, then at night they are as dark as can be. So take a flashlight and visit one of them late at night during the summer. Okay, before you go make sure the night is clear. Now lie on your back on the sand and let your eyes adjust for a minute… and then look up into the night sky. You’ll be greeted with a view of billions and billions of stars. But not only stars, but also you’ll be able to discern distinctly the Milky Way. It’ll appear and look like milky clouds, but you’ll know for sure it isn’t. You won’t see it in the winter sky – only the summer sky. Yet another bonus reason for visiting the Cape Cod National Seashore. I suppose the first question to be answered is how to get there? The most direct route is Route 6. You can pick up Route 6 from either of the bridges over the Cape Cod Canal. From Boston area you’ll be approaching the Cape on Route 3S, and go over the Sagamore Bridge after the rotary. If you’re traveling from NY/NJ area through Connecticut along Route 95, then you’ll join Route 495S from either Route 95 or Route 195. Route 495S is also your best route if approaching from central Massachusetts or New Hampshire. Anyway, Route 495S will take you over the Bourne Bridge, and at the Bourne rotary you’ll be able to pick up Route 6E. Follow Route 6 passed the Orleans Rotary until you see the Cape Cod National Seashore Visitor Center in Eastham on the right. This is a great place to begin your tour of the National Seashore. Use the maps on this page and the guide to decide where to visit, and when. It’s your vacation; you do things the way you want. At this juncture of the Cape everything is off Route 6 anyway and well sign-posted, so you can’t go that wrong. And if you do… no worries mate, follow your nose. You’ll be able to smell the ocean even if you can’t always see it. Along this stretch of Route 6 accommodation is plentiful. Orleans has a number of attractive Inns to stay at close to Nauset Beach. It also has plenty of motels and hotels near the town center. Eastham and Wellfleet also have a number of hotels and cottages and family resorts right along Route 6. As you move up towards Truro places to stay thin out. But you’ll find cottages dotted around and you can’t beat the location for scenery. Provincetown has plenty of choices of all types of lodging. 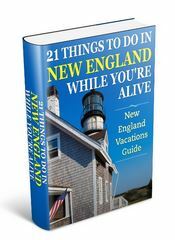 For the adventurous in you, the Cape Cod National Seashore areas in Wellfleet and Truro have some amazing campgrounds. They cater for both tent trailers and tent camping. I have fond memories of tent camping vacations at North of Highland Camping area. Heck you can hear the ocean at night. During high season some of the campgrounds require you book for a week. So check first. To discover where to stay deals, and compare rates and amenities with a trusted and professional travel organization then check out Cape Cod lodging and accommodations.